For the absolute best of a classic, everything-you-expect grilled steak experience, you simply can’t beat the New York strip steak. Be sure to slice the steak against the grain--it'll be a little tough and chewy otherwise. Marinate hanger steak in a mixture of soy sauce, sesame oil and ginger, grill, and serve with an assortment of pickled vegetables for a Korean-inspired dinner. Warm corn tortillas and a colorful, chunky salsa transform simple grilled skirt steak into a fantastic--and surprisingly light--summer meal. These spicy, meaty kebabs will satisfy the heartiest appetites. Our ingenious method of microwaving then grilling the potatoes ensures they remain perfectly tender on the inside without having to boil them on the stovetop. Serve with a tomato salad on the side for a simple, summery meal. This smoky relish is delicious on just about anything you grill; from fish to chicken, or even thick slices of country bread. Grain-fed flat iron steaks are a relatively tender cut. 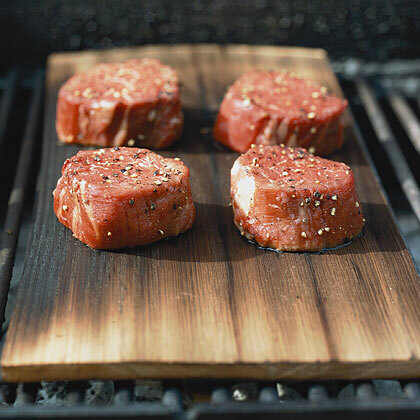 But with grass-fed steak's lower fat content, we find pounding the meat before cooking ensures tenderness. 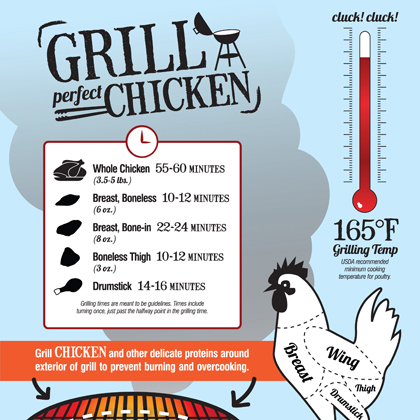 It also helps the steaks cook quickly--they only need about 3 minutes on a searing hot grill to hit medium-rare. Beef tenderloin fillets make this quick summer dish a little special. You can also use 2 (8-ounce) sirloin steaks, grilled for 4 minutes on each side. This is dinner for people who have big appetites (or are on the Paleo diet). If you want less meat, just grill 2 steaks and cut them in half. Also, cutting the celery by hand gives you neater, crisper pieces than if you use a handheld slicer or a food processor. Grilled skirt steak gets a boost of flavor from an umami-rich miso-and-soy sauce glaze. Serve with Sesame Jasmine Rice and asparagus. Smoky sweet molasses flank steak pairs perfectly with the fresh watermelon salsa. Showcase flat-iron steak by marinating it in a balsamic-maple syrup mixture, then topping it with chopped pecans and crumbled blue cheese. This 5-Star recipe is a great choice for entertaining. Indulge in beef tenderloin steaks that are marinated in tawny Port and topped with crumbled gorgonzola cheese. You get a flavor bonus (as well as a side dish) with the onions that are grilled alongside the steaks. You can marinate the steak for as little as 30 minutes and still get great flavor in the meat. Because skirt steak is not a thick cut, it grills in about 6 to 8 minutes. It's hard to beat the combo of steak and fries for dinner. This recipe features porterhouse steak and wedges of baking potato and sweet potato for the fries.